Base notes like sandalwood and musk will linger too long on greasy skin – try a greater mix of flower and citrus scents to avoid overpowering your co-workers with heavier perfumes. By contrast, those who don’t have oily skin will find scents dissipate too quickly. Base notes like sandalwood and musk will last longer on the skin. These will dry out your skin, leaving you feeling irritated, especially if you have sensitive skin. 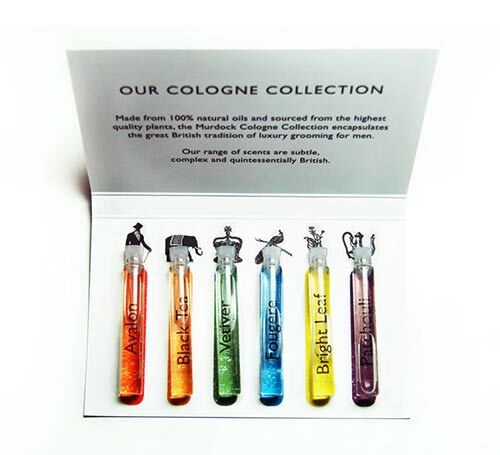 There are simply too many odours hanging in the air to get an accurate read on the cologne you’re currently sniffing. Instead, take away a sample strip and test it in a neutral environment. You’ll find that just as with wine, perfumes have a multi-tonal progression over the course of the day. When testing out a fragrance, take regular sniffs to ensure you’re still in love with the scent after several hours. If someone can smell your cologne more than two feet (60 cm) away then you’re wearing far too much. Always start off with a small dab, and work your way up. This means the smell will disappear at the same rate regardless of the quantity applied. Therefore, don’t apply double if the cologne is too weak; instead find a fragrance that holds on your skin better. 8. Store your fragrances correctly. Colognes are photosensitive so store in a dark draw or cabinet. Always recap after use, and keep away from extreme temperatures. This was so useful! Thank you so much!